Did President Putin deny man made CO2 driven Climate change? 50 minutes in to the video and Putin mentions an Island in the Arctic called Franz Joseph. He said that the Austrian explorer Mr Bayer had gone there in the 1930`s and later in the 1950`s The Italian President took pictures of the ice and when the Austrian explorer saw them and said that they ice had drastically disappeared within 20 years. He then said that there was no man made effects at that time 1920 and that it could be a “Planetary cycle” effect when answering a question on the USA position on Climate change. In the early part of the debate Putin said that commercialisation of the Arctic was inevitable and he expected a tenfold increase in Shipping traffic in the Arctic that he was planning for. 53 minutes in and Finnish President Sauli Niinisto said he agreed with what Putin said but also pointed out that he was still hopeful with the Paris Climate change agreement. 55 minutes in and Putin looked at the ice on Franz Joseph island.. He saw evidence of black carbon on the ice from thousands of years ago that came from Mount Etna and was worse than man made causes of black carbon. Putin then addressed Iceland’s president, Gudni Johannesson. Earlier points but saying that science should be encouraged to develop business and protect the environment . 59 minutes in and the CNN reporter hosting the event, hit Putin with the USA election and Ukraine and Crimea.. Listen for your self .. “Bunch of lies” said Putin.. He goes on briefly to discuss some of the geopolitical issues in this area. He then mentions cooperation with the USA including recent negotiations concerning the Bering straights where shipping agreements, scientific projects, safety and free travel between Alaska and Russia are in operation. He also mentions fishing and Polar bear conservation as the projected increase in shipping develops. Further to that, Putin talks of the developing of hydrocarbons and Russia working with Exxon, Mobil and other partners and that prospects are huge for the USA, Russia and the whole world, also that this will benefit relations with the USA and Russia (To a huge round of applause from the hundreds of attendees to the conference). Quoting Ronald Reagan Putin said “read my lips, No!”. The CNN reporter persisted and Putin said that the Russian conference wanted to cooperate with US authorities but here was blocks put up by the US authorities to clear up Russian business corruption. 1hr 12 min in and President Sauli Niinisto said that European dealings with Russia did not reflect the USA position. Even during the cold war where interrelations were still possible. Iceland’s president, Gudni Johannesson then pointed out that respect for international treaties and trust were very important and that even small countries had a voice in this process. The audio on the video became bad at this point.. Putin defended this as the USA develops its military infrastructure in the area including its nuclear infrastructure. This means that Russia needs to retaliated because the US withdrew from the ABM treaty. He said that he is rebuilding the Arctic resources to limit smuggling, piracy and illegal fishing.. The Russian military infrastructure is dual use for emergency incidents , oil spills and scientists research deployment and that Russia is transparent and hopes for more cooperation with the USA on these matters. 1 hr 22mins in and Putin is asked by the CNN host how will cooperation be encouraged? An example of cooperation Putin said that aircraft transponders should be kept on when responding to concerns from Finland but when Putin asked for an agreement NATO said they would not comply. He then mentions the USA has the biggest military budget and the most planes flying. Putin did say that some cooperation is being agreed in Syria and he hoped this would expand to the Arctic. The Finnish Prime minister said that he asked for all transponders to be switched on and not just Russian planes. He also said that some NATO representatives are looking into turning transponders on. The discussion then turned to Syria and the need for global cooperation. 1hr 31 min in and the question of territorial claims (200 km from Russian border). Putin mentions the agreement with Norway and its successful conclusion in signing a treaty. The Icelandic prime minister added that the Arctic council was a general success and the issue of fish catch quotas were underway despite challenges. He also mentions difficulties with scientific differences and that the science behind fisheries has a good agreement. 1 hr 35 min in and the question of the future of the Arctic is mentioned.The host mentions that large contingent from China that wishes to make claims on its near Arctic resources. Putin mentions the international agreements and that all countries have the right to work in the arctic region mentioning business`s from N Korea China and India with 4 others. Rules of working on this area are underway. The Finnish minister mentions the N. eastern passage connecting the Pacific and Atlantic regions. Iceland`s minister acknowledged that other non Arctic nations have a right to resources and communication channels and mentioned that many discussions are underway irregardless of the size of the countries involved. 1hr 45 minutes in and the discussion turns to sanctions and Putin said that he doesn’t want to discuss these issues and other issues as there are ongoing discussions. He quotes concerns of the Arab spring and Ukrainian protests as the reason to clamp down on Russian protesters and sanctions destroying the lives of 100,000`s of Americans and Europeans effected by these sanctions. He hopes that future talks might might be a solution to this problem. 1 hr 53 minutes in and the host asks the ministers one way to move froward with positive outcomes. Discussion, agreement, solutions and developing positive relations were mentioned and Putin said that he hoped these principles and agreements in the Arctic would spread globally. A demonstration takes place at Hibiya Park in Tokyo in March 2016, at which protesters express their distrust of the government which has failed to listen to the voices of Fukushima nuclear disaster victims. Six years have passed since the disaster at Tokyo Electric Power Co. (TEPCO)’s Fukushima No. 1 Nuclear Power Plant, and the government’s policies for helping affected people are reaching the end of a chapter. The government provision of housing to voluntary evacuees is coming to an end, and with the exception of a few selected areas, evacuation orders have been lifted or scheduled to be lifted soon. Compensation payments for such evacuees are scheduled to end, too — as these were given out in tandem with the evacuation orders. With this kind of reality in mind, the “accelerated recovery” that was promoted by the government now just appears to be a hasty attempt to draw a curtain over the issue of evacuation from Fukushima. Government policies related to evacuation are seemingly one-way, and given that these policies have failed to gain the acceptance of affected residents, it can be said that they are corroding away at the core of democracy. Over the past few years, I have continued to cover the situation in Fukushima using data such as health surveys, polls of voluntary evacuees, housing policies, and decontamination — with the aim of chasing after the real intentions of the creators of government policies. And yet, even though the government organizations and bureaucrats that are in charge differ depending on the issue, discussions go on behind closed doors, after which decisions are forced on the public that are completely out of touch with the needs of those affected. These kinds of policymaking procedures are all too common. Later, in December 2011, a “convergence statement” was released by then Prime Minister Yoshihiko Noda in which he announced that the “emergency period” was over. Restructuring of the evacuation orders was subsequently carried out, and then the new criteria for relaxing such instructions were discussed in private. From April 2013 onward, closed-door discussions continued to take place among section chiefs and other officials from organizations such as the Ministry of Economy, Trade and Industry and the Reconstruction Agency. They then waited until after the House of Councillors election in July 2013 to announce that areas where the annual radiation exposure was less than 20 millisieverts per year would be exempted from the evacuation orders. A source told me that the timing of the announcement was set as “not to trouble the government.” In other words, the level of 20 millisieverts per year had switched from “the time of emergency level” to “the ordinary level,” and it was as though the previous 1 millisievert annual level for ordinary situations had been banished from history. Nearly four years have passed since then. At an explanatory meeting for evacuees from the Fukushima Prefecture towns of Namie and Tomioka, hardly anyone agreed with the lifting of the evacuation order this coming spring. It’s clear in the term “unnecessary exposure to radiation,” often used by the Fukushima evacuees, that there is absolutely no reason for local residents to endure radiation exposure caused by the nuclear disaster. And it’s understandable that they have difficulties accepting policies that ignore the voices of those from the affected areas. Another problem is government bodies’ practice of blurring responsibilities by deleting inconvenient elements in records of the closed-door decision making process, thereby making it impossible for third parties to review the process afterwards. The government was planning to complete the majority of the decontamination work by the end of fiscal 2016. In June 2016, the Environment Ministry devised a plan for reusing the contaminated soil whose volume has ballooned due to the cleaning work. In a closed-door meeting with specialists, the ministry also set the upper contamination level limit for reusing the soil at 8,000 becquerels per kilogram. However, with regard to the reuse of waste generated from decommissioning work such as iron, the upper limit is set at 100 becquerels. What officials talked about in that closed-door meeting was how to make that kind of double standard appear consistent. In June 2016, the Mainichi Shimbun reported this matter, and as a number of freedom-of-information requests were filed, the Environment Ministry decided to release the relevant records. Ministry officials claimed that they were making all the information public. However, they had deleted statements by the bureaucrats in charge; statements that suggested the entire discussion had been undertaken with the 8,000 becquerel limit as a given. It might be stating the obvious, but unless information concerning policies is made public and there is transparency surrounding the decision making process, democracy cannot function. The way that the government has one-sidedly carried out its national policies by ignoring the voices of the Fukushima disaster victims, as well as people across Japan, poses risks to the very foundation of democracy. In some ways, this is one major part of the damage caused by the nuclear disaster. The Japanese government has lifted the evacuation order for most parts of a town in Fukushima Prefecture. It was issued after the 2011 nuclear disaster at the Fukushima Daiichi power plant. The directive for Tomioka Town was lifted at midnight on Saturday in all areas except for no-entry zones with high radiation levels. The town became the 9th municipality to be released from the order. The decree was initially imposed on 11 municipalities in the prefecture. The government also withdrew the directives for some areas in Kawamata Town, Namie Town, and Iitate Village at midnight on Friday. Areas still subject to the government evacuation order now make up 369 square kilometers. That is one-third of the initial size. About 9,500 Tomioka residents are now allowed to return to their homes. But in a survey conducted by the Reconstruction Agency and other institutions last year, only 16 percent of Tomioka’s residents said they wanted to return to their hometown. The town government had opened a shopping mall and a medical facility ahead of the lifting of the evacuation order. In the future, it will be a challenge for the town to revive industries, decontaminate no-entry zones, and provide continued support for residents living outside the town. A group supporting child cancer sufferers in Fukushima on Friday confirmed the diagnosis of a boy who at the time of the 2011 disaster was just four years old, contradicting the local government’s position that no child of that age has been diagnosed with thyroid cancer. The boy was diagnosed with cancer and underwent surgery after taking part in a Fukushima prefectural government survey to gauge the impact of the disaster. Local authorities, however, claim at the time of the survey he had not yet been officially confirmed as suffering thyroid cancer. The survey found that of the 385,000 people aged 18 or younger at the time of the disaster, a total of 184 youths aged between 5 and 18 have been diagnosed with or are suspected to have thyroid cancer. A road remains blocked Thursday evening in the town of Tomioka near the crippled Fukushima No. 1 nuclear plant. An evacuation order for Tomioka residents will be lifted Saturday. FUKUSHIMA – Japan on Friday lifted its evacuation orders for the village of Iitate and two other areas that had been enforced due to the nuclear disaster at the Fukushima No. 1 nuclear power station. The move came six years after Tokyo Electric Power Company Holdings Inc.’s power station suffered meltdowns after the huge earthquake and tsunami in March 2011, triggering evacuation orders in many places in Fukushima Prefecture, including Iitate and the other two areas. Residents of Iitate, the town of Namie and the Yamakiya district in the town of Kawamata, totaling some 22,100 at the end of February, can now return home, except in a handful of places included in no-go zones where radiation levels are still too high. With the evacuation order set to be removed for the town of Tomioka on Saturday, Okuma and Futaba, the host towns of the crippled power station, will be the only Fukushima municipalities without an area where an evacuation order has been lifted. Meanwhile, municipalities where evacuation orders have been removed have their own problems: a slow return of residents. The central government and affected municipalities have channeled their efforts into improving commercial facilities, transportation systems and other infrastructure, hoping to attract residents, old and new. In Tomioka, a ¥2.4 billion emergency hospital will be created, reflecting strong calls for medical institutions. The return of residents has remained slow, however, with many returnees being elderly. In the five municipalities whose evacuation orders had already been lifted, only 14.5 percent of residents came back. In Iitate, Namie and Kawamata’s Yamakiya district, the share of residents who said they want to go back to their hometowns in joint surveys mainly by the Reconstruction Agency stood at 33.5 percent, 13.4 percent and 43.9 percent, respectively. The central government will begin work to revive areas in the no-go zones spanning seven municipalities. According to the government’s plan, each of the seven will have a reconstruction base for work to decontaminate local areas tainted with radioactive substances from the Tepco power station and build infrastructure. Decontamination costs will be borne by the central government. It aims to lift evacuation orders in the no-go zones within about five years. “The government is resolved to fully lift the evacuation orders (in the no-go zones), even if it takes a long time,” Prime Minister Shinzo Abe has recently said. But a concrete path to the goal is not in sight. People pray in silence in front of a memorial for the victims of the 2011 disaster in Namie, Fukushima Prefecture, early on March 31. The tsunami-struck Ukedo district remains empty in the background. More than six years after the nuclear accident, evacuation orders for areas in two towns and one village in Fukushima Prefecture were lifted after midnight on March 30, allowing residents to finally return home. The number of residents affected tops 32,000, including the population of Tomioka, where the same order is scheduled to be lifted on April 1. However, less than 20 percent of people had returned to areas where the order had already been withdrawn earlier, and not many residents from areas close to the nuclear plants are willing to go back. On March 31, the order for parts of Namie and Kawamata towns and Iitate village was lifted. In the coastal Ukedo district in Namie, about seven kilometers north of the No. 1 plant, about 30 people, including Namie residents and the town mayor, gathered at a memorial for the 182 victims from the town before the dawn, hours after the lifting of the evacuation order. Just after 5:30 a.m., they held a minute of silent prayer. “I would like to achieve complete recovery until the ban (on the difficult-to-return zone in the town) is lifted entirely for Namie, while cooperating with the residents,” said Namie Mayor Tamotsu Baba. In Namie, Iitate and Tomioka, the entire population had been living outside their homeland. After the nuclear crisis unfolded, spawned by the Great East Japan Earthquake and tsunami, the government issued evacuation orders to 11 municipalities, for the total population of about 81,000. Since then, one by one, the authority had lifted bans on areas that met certain safety criteria–estimated annual radiation doses totaling 20 millisieverts or less, and infrastructure and lifelines were reconstructed. In Okuma and Futaba, where the Fukushima No. 1 nuclear plant is sited, the evacuation order remains in effect for all residents. From now on, the government’s priority will shift to encouraging evacuees’ return and assisting them on becoming financially independent, while withdrawing in stages their compensation and accommodation payments. In the government’s fiscal 2017 budget, a fund of 23.6 billion yen ($212 million) was set aside for restoring the local health-care system and facilities in the area impacted by the 2011 Great East Japan earthquake and tsunami, and nuclear crisis. Restoring the essential services for living is part of the plan to encourage evacuees to return to their homes. This year’s multilateral negotiations toward a legally binding prohibition on nuclear weapons reflect a growing global recognition that a nuclear-weapons ban is an integral part of the normative framework necessary to achieve and maintain a world free of nuclear weapons. For some observers of nuclear issues, in and out of government, they also constitute a welcome shock to an otherwise lethargic nuclear disarmament and nonproliferation regime. UN Resolution L41, which calls for negotiations toward a new ban on nuclear weapons, was adopted by a wide majority at the General Assembly last December (123 for, 38 against, 16 abstentions). 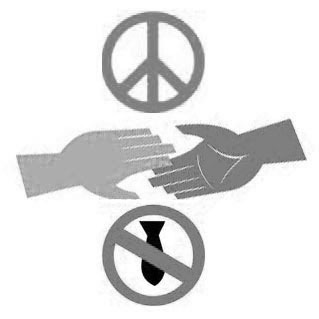 It epitomizes a new political reality in the nuclear disarmament realm: Founded on the humanitarian imperative for nuclear abolition, it bears witness to a widely held perception that the Nuclear Non-Proliferation Treaty (NPT), as currently implemented, does not constitute a credible path to abolition. Negotiations stemming from L41 began this week at the United Nations in New York and, after the first round ends Friday, will continue June 15 to July 7. All UN member states, along with international organizations and members of civil society, were called on to participate. Yet, several did not. A majority of nuclear-armed states and their allies — including the United States and most other NATO members, such as Germany and Canada — have actively opposed this effort and have openly tried to undermine its rationale. And while it is hardly surprising that the very states that rely on nuclear deterrence would oppose a legal prohibition of nuclear weapons, the primary arguments used to oppose the ban cannot withstand close scrutiny. They are either misleading, based on a dead-end logic, or outright wrong. Let us consider six of the most commonly cited arguments. 1. Negotiations fail to consider the global security environment. This point has been frequently raised by opponents to condemn negotiations before they even start. In reality, however, neither the way in which the talks will unfold nor possible outcomes are predetermined. These naysayers have been repeatedly urged by a majority of NPT and UN states parties to participate in the talks, which would allow them to raise any and all international security concerns they may have. Instead, they preemptively indict the process and choose instead to boycott the negotiations. …….Nobody, however, is advocating for a ban in isolation, and it has never been said that the global security environment would not be considered……There is no perfect time to seek nuclear disarmament ……Achieving nuclear abolition will be a lengthy undertaking that will necessarily coexist with international security crises of varying gravity. To expect otherwise is unbelievably — and perhaps deliberately — naïve. 2. A nuclear-weapons ban would be ineffective…… Remarkably, one of the best articulations of the significance of a legal ban comes from the U.S. and reflects NATO thinking and policy. In an unclassified NATO document from October 2016 entitled “United States Non-Paper: ‘Defense Impacts of Potential United Nations General Assembly Nuclear Weapons Ban Treaty,’” a legal prohibition of nuclear weapons is presented as anything but insignificant or ineffective. ……. 3. The process to ban nuclear weapons is divisive and not based on consensus…….Indeed, these talks will be divisive. But they simply shed further light on longstanding divisions, which continue to be exacerbated by the blatant disregard of nuclear-weapon states for their obligations to disarm. It should be noted that the very countries that blocked consensus in the process surrounding the nuclear-weapons-ban negotiations, including the adoption of Resolution L41, are now criticizing the lack of consensus……Perplexingly, states wishing to undermine the negotiations continue to point to their own unwillingness to participate as an inherent flaw in the process. 4. A legal prohibition of nuclear weapons is no substitute for actual weapons reductions……..The historic adoption of Resolution L41 and the process surrounding it constitute the strongest diplomatic signal in decades that the peoples of the world reject these horrifying instruments of mass destruction. Critically, these developments could well signal a turning point in the humanitarian, diplomatic and political struggle toward their elimination……… Many recent and current international efforts related to nuclear weapons did not and will not reduce the size of nuclear arsenals. Various UN panels of governmental experts, high-level meetings related to the Fissile Material Cut-off Treaty, and NPT-endorsed plans of action, which produced no warhead reductions, have received multilateral support over the years. Why should negotiations on a ban be denied similar backing? 5. The pursuit of a nuclear-weapons ban undermines the NPT……..The World Court in 1996 further clarified the Article VI obligation. It indicated that the NPT requires states not only to engage in good faith negotiations for nuclear disarmament, but also to bring them to a conclusion. The NPT was designed to prevent non-nuclear-weapon states from acquiring nuclear weapons and to compel nuclear-weapon states to eliminate their arsenals. In no direct or implied phrase does the treaty limit complementary efforts, such as negotiations toward a nuclear-weapons prohibition, to implement its provisions and advance nuclear disarmament. 6. Better than a ban is a so-called progressive, pragmatic approach to nuclear disarmament…….No credible multilateral undertaking now exists that will lead to nuclear disarmament in the foreseeable future. Efforts to further the nuclear disarmament agenda have withered when denied support by nuclear-armed states……. Developments such as the rapid, costly modernization of nuclear arsenals and related infrastructure (some estimates put the price tag at more than $1 trillion), heightened tensions between superpowers, and a dysfunctional multilateral disarmament machinery, underscore the inadequacy of the current approach to nuclear disarmament. Congress should be a voice of caution and restraint. Any marginal benefit of this legislation is outweighed by the risk of giving an impulsive president license to take steps that could undermine a deal that is working, isolate the United States, and put U.S. troops at risk. Nuclear Deal, Foreign Policy, BY ANTONY J. BLINKEN, AVRIL HAINES, COLIN KAHL, JEFF PRESCOTT, JON FINER, PHILIP GORDON, ROBERT MALLEY MARCH 31, 2017 – During our time in government, there were few issues on which it was easier to build a bipartisan consensus in Congress than the need to contend with the range of threats posed by Iran. Congress played a critical role in penalizing Iran for supporting terrorism, providing support to U.S. partners in the region threatened by Iran, and establishing the sanctions regime that, combined with tough diplomacy, led to a deal that prevents Iran from developing or acquiring nuclear weapons. Momentum is again building in Congress to impose additional sanctions on Iran, including with the introduction last week of the Iran’s Destabilizing Activities Act of 2017 by Sen. Bob Corker, the chairman of the Senate Foreign Relations Committee, and Sen. Robert Menendez. The bill has already garnered more than two-dozen cosponsors. Unfortunately, as currently drafted, this bill would do more harm than good. Thanks in large part to Congress’s support — including some difficult votes — the United States and our partners were able to address the most immediate and consequential threat posed by Iran. Under the Joint Comprehensive Plan of Action (JCPOA), Iran has dismantled much of its nuclear infrastructure: removing two-thirds of the centrifuges it had installed (well over 10,000 centrifuges), shipping out 98 percent of its stockpile of enriched uranium, decommissioning a reactor capable of producing plutonium for a bomb, and putting all of its nuclear facilities under strict international monitoring. Iran has committed in writing that, pursuant to the Nuclear Non-Proliferation Treaty, it will never seek a nuclear weapon and has put all key elements of its program under close surveillance. Most important of all: The deal is working. President Donald Trump has inherited an Iran policy that leaves us significantly safer than when his predecessor took office. This context is important in evaluating the potential upsides — and downsides — of new legislation to impose additional sanctions on Iran. Many senators will be tempted to support the Corker-Menendez legislation, which at first glance seems to accomplish a rare feat in Washington these days: bringing together bipartisan support to address a known national-security threat. We share concerns about threats from Iran to the United States and our allies, including the challenges posed by Iran’s ballistic missile program and support for terrorism. But when it comes to an arrangement as complex as the JCPOA, the details matter, and this legislation, in its current form, includes several significant risks that could undermine the nuclear deal. First, the bill adds new conditions that must be met before Washington can lift sanctions on certain Iranian parties in the future, including sanctions we are already committed to remove if Tehran continues to comply with the nuclear deal……..
Second, the legislation would, most likely, lead the president to designate Iran’s Revolutionary Guards (IRGC) as a terrorist group. ……. Third, by mandating sanctions on any person or entity that “poses a risk of materially contributing” to Iran’s ballistic missile program, the bill introduces a standard that is overly broad and vague. Such a loose definition could potentially be used to impose sanctions in violation of the JCPOA — particularly when in the hands of an administration that is overtly hostile to the deal. ………Congress should not take any steps that our international partners might view as violating a deal that, so far, has fulfilled its goals. Rather than containing Iran, such steps would isolate the United States. If Congress sends Trump this legislation, our new president will be granted the tools and the greenlight from Congress to unravel the Iran deal and put us back on the path to a war with Iran. Unless Democratic senators stand up against this bill soon, opponents of the Iran nuclear deal may wipe away Obama’s diplomatic legacy with Iran faster than even they thought was possible. keys-war-iran/ When Trump won the elections, many worried that it could lead to war between the United States and Iran, due to his desire to kill the Iran nuclear deal. Now, thanks to the U.S. Senate, we may be one step closer to this nightmare scenario: The Senate is poised to pass legislation that will place President Trump’s trigger-happy finger on the ignition switch of a deadly conflict with Iran. With thousands of AIPAC supporters on Capitol Hill to lobby senators on behalf of the bill, there is a strong chance that this bill could obtain filibuster-proof levels of support. If every Republican supports the bill, and just one more Democrat signs on, AIPAC’s bill will hit 60 votes. If that happens, and Congress sends Trump this legislation, our new president will be granted the tools and the greenlight from Congress to unravel the Iran deal and put us back on the path to a war with Iran. Unless Democratic senators stand up against this bill soon, opponents of the Iran nuclear deal may wipe away Obama’s diplomatic legacy with Iran faster than even they thought was possible. This piece originally appeared in The Huffington Post. Trump has antagonized the leaders of allied countries like Mexico, Australia and Germany, and he has repeatedly demonstrated an extraordinary lack of knowledge about foreign affairs. When the President Is Ignorant of His Own Ignorance, NYT Thomas B. Edsall MARCH 30, 2017 How prepared is our president for the next great foreign, economic or terrorist crisis? During his first 63 days in office, Trump made 317 “false or misleading claims,” according to The Washington Post. The FBI, the Treasury Department and two congressional committees are probing whether Trump’s campaign aides and advisers — including Paul Manafort, Carter Page, Roger Stone and Michael Flynn — were complicit in alleged Russian interference. Without an obvious mandate (as the world knows, he lost the popular vote by 2.87 million), Trump has proposed a profound retrenchment of domestic policy. His 2018 budget, the potential impact of which he does not seem to grasp, calls for cutting $54 billion from programs that pay for education, housing and child care assistance for low- and moderate-income families, protection against infectious diseases, enforcement of environmental, worker and consumer protection regulation, national parks and a host of other social programs. See the accompanying chart, which illustrates the depth of these changes. It shows, to give a few examples, Trump’s proposal to cut the Environmental Protection Agency budget by 31 percent; the Labor Department by 21 percent; and the Health and Human Services budget by 16 percent. How dangerous is the situation that the United States faces? ‘You’re trash’: Investors hurl abuse at Toshiba managers after nuclear debacle, SMH, Pavel Alpeyev and Takako Taniguchi, 31 Mar 17, Toshiba shareholders have lashed out at management and lamented the downfall of the Japanese icon before approving the sale of its memory chips division to cover the billion-dollar costs resulting from its disastrous foray into nuclear energy. Incensed investors took turns to hurl abuse at executives during a Thursday meeting convened to take a vote on the intended disposal of its prized semiconductor business. Toshiba is looking to sell a majority stake in the unit to mend a balance sheet ravaged by billions of dollars in writedowns related to cost overruns at its nuclear subsidiary Westinghouse Electric. Westinghouse, which Toshiba bought for $US5.4 billion in 2006, filed for bankruptcy protection on Wednesday. The Japanese company said it may now book a loss of as much as 1.01 trillion yen ($11.8 billion) in the year ending March, a record for a Japanese manufacturer. Westinghouse bankruptcy leaves costly nuclear mess for Southern utility customers https://www.facingsouth.org/2017/03/westinghouse-bankruptcy-leaves-costly-nuclear-mess-southern-utility-customers By Sue Sturgis March 31, 2017 Federal and state officials who oversee nuclear power can’t say they weren’t warned that financial disaster was a very real possibility should they approve plans for new nuclear reactor construction projects at Southern Company/Georgia Power’s Plant Vogtle near Waynesboro, Georgia, and SCANA/SCE&G’s Summer Plant near Jenkinsville, South Carolina. Clean energy and consumer watchdog groups were outspoken in opposition to the projects, which involved a new type of reactor known as the AP1000. The Southern Alliance for Clean Energy (SACE) testified extensively with expert witnesses before the Georgia Public Service Commission to warn about the high risks of investing in expensive new nuclear power and to encourage turning instead to clean, affordable alternatives like energy efficiency, and SCE&G ratepayers intervened to try to block construction in South Carolina. But in 2009, federal and state regulators approved two AP1000 reactors for each of the sites. While the Obama administration offered $8.3 billion in taxpayer-backed loan guarantees to help finance the construction of the Vogtle reactors, the Georgia legislature passed a law allowing Southern Company to finance them through a scheme called “construction work in progress” that forces ratepayers to pay in advance, with a charge of about $10 on the average customer’s monthly bill. South Carolina also has a law in place allowing prepayment; as a consequence SCE&G customers have faced nine rate hikes since 2009 driven in large part by the project. Construction got underway at the two sites — but then came the predicted delays and cost overruns. With the first new reactors initially set to come online this year, the Vogtle project is only about 36 percent complete, and construction at Summer is only about one-third complete. And while state regulators have approved costs of around $14 billion for each project, Morgan Stanley has estimated the final bill at about $19 billion for the Georgia reactors and $22 billion for the South Carolina project. Ratepayers in Georgia have already forked over about $3.9 billion for the reactors, while those in South Carolina have paid about $4.5 billion. Meanwhile, the utilities are guaranteed a 10 percent return in profits, even in the case of cost overruns. Now this week Westinghouse — the Pittsburgh-based division of Japanese tech conglomerate Toshiba and the reactors’ main contractor — cited those massive cost overruns in declaring bankruptcy. The move leaves the projects in limbo and utility customers in Georgia and South Carolina facing one of two unpleasant scenarios: paying billions for nothing, or continuing to pay even more for reactors whose completion remains uncertain. During a SACE conference call this week about the implications of the Westinghouse bankruptcy, Peter Bradford, a former member of U.S. Nuclear Regulatory Commission and adjunct professor at Vermont Law School, said Georgia and South Carolina utility customers should expect another rate hike if the reactors eventually go into service — or if they are abandoned. Liz Coyle, executive director of the consumer advocacy group Georgia Watch, pointed out on the call that the costs ratepayers are being forced to bear for the unfinished reactors present a “tremendous burden” for low-income households — one that is unlikely to ease any time soon. “We see no option ahead that doesn’t affect rates customers will be paying,” she said. Smith, Coyle and others are calling on utility regulators in Georgia and South Carolina to conduct a careful, transparent analysis of what’s in the best interest of ratepayers and proceed accordingly — and to remain unswayed by corporate interests that want to press ahead at any cost. If the companies and regulators do decide to proceed with construction, Smith said, ratepayers’ financial exposure should be capped. Smith is also urging regulators to ground all future decisions in a basic concept of fairness: that no utility customer should be forced to pay for any facility for which a company cannot offer a reliable price estimate and timetable. Westinghouse Bankruptcy Could Stall UK Nuclear Plans, Oil Price, By Leonard Hyman & William Tilles – Mar 30, 2017, “…Bankruptcy would affect the prospects for nuclear projects in the United States. Now it looks as if the fallout from such a filing could affect energy plans in the UK, as well. Given the possibility of a Westinghouse bankruptcy, as well as related financial woes, Toshiba has been seeking to offload its interest in the Moorside project. The CEO of Korea Electric Power Company (KEPCO) initially sounded enthusiastic about assuming Toshiba’s Moorside stake stating publicly he was ready to “jump in” after questions of the project’s debt and equity were clarified. KEPCO, however, later ruled out buying Westinghouse. Nowhere in various press report, though, did we see KEPCO officials embrace the Toshiba/Westinghouse AP1000 reactor design.The Koreans have their own nuclear reactor designs which they have had some success exporting. Actually, they have two of them; the OPR 1000 and the larger APR 1400…. It could take the UK’s nuclear regulator, the Office for Nuclear Generation (ONR), at least four years to certify a new reactor design. The ONR’s latest Generic Design Assessment is almost complete for Westinghouse’s AP 1000. As sophisticated designers and builders of new nuclear facilities, with their own proprietary technology, we believe there is little likelihood the Koreans will take on the AP 1000 design. Building with a new and unfamiliar design would add to their risk. If the Koreans assume Toshiba’s Moorside stake and pursue their home-grown reactor design, this will add years to the plant’s estimated in service date. The only good news, here, is that Britain’s electricity demand has fallen so much that maybe the delay would be a blessing in disguise.